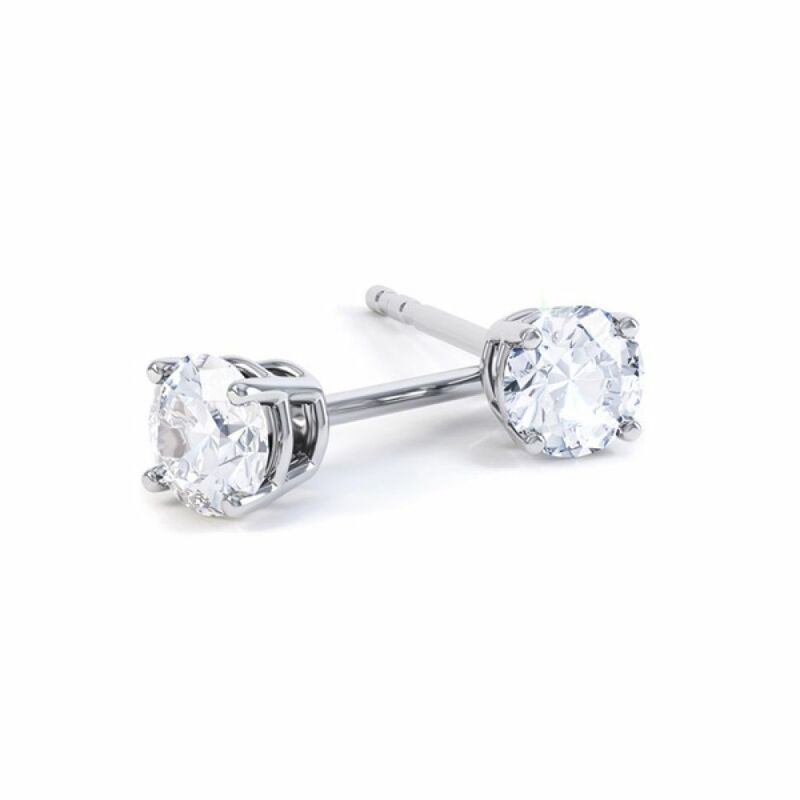 Simple 4 claw diamond stud earrings, crafted in 18ct White Gold, available in a wide choice of carat weight sizes. Classically styled, this contemporary earring design features a four claw basket setting with a matching pair of Round Brilliant cut Diamonds. Available from our showroom or for quick delivery, we have a full selection of Diamond carat weights available. Each pair is set with G Colour white Diamonds, graded SI1 Clarity prior to setting. We provide a detailed valuation for insurance along with delightful packaging and free shipping to several countries Worldwide by secure courier. Each pair of earrings arrives with 18ct White Gold butterfly attachments and 2 pairs of additional secure Lox earring backs for added security within the ear. Please note that the diamond weight chosen is a total weight for each pair of earrings. Your dazzling pair of diamond earrings are shipped by fully insured courier across Canada. Earrings arrive beautifully boxed within luxurious packaging, ready for wear. Our large main outer box is discreetly wrapped and your earrings are placed within a gloss white natural wood box, accompanied by your documentation. We include an additional 2 pairs of special Lox secure earring backs for total peace of mind during everyday wear. We ensure that every pair of diamond earrings purchased meets the exceptionally high standard for both workmanship and for the diamonds we use. We source diamonds responsibly and can now offer fully traceable 100% ethical diamond earrings with matched pairs of CanadaMark diamonds, available upon request. We offer a minimum cut grade of 'Very Good' and diamond certification is of the highest standard, with diamonds typically graded by GIA.